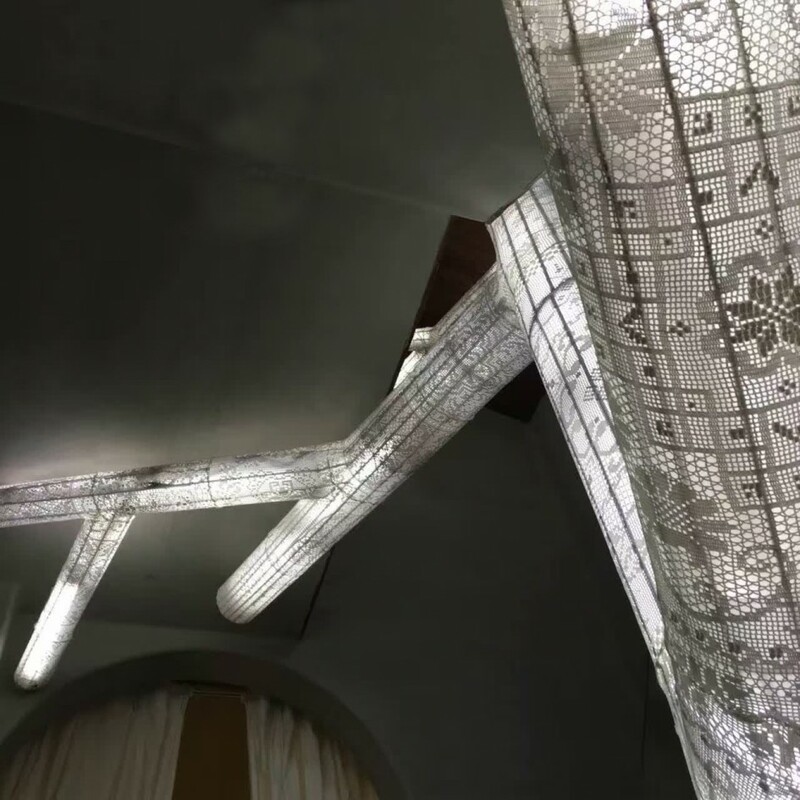 “The Tree from Shu De Fang, a.k.a The Treefrom the Lane of Moral Foundation ( 树德坊;Lane of Moral Foundation)” is a light artinstallation created by artist Liu Yi specificallyfor the bed & breakfast inn located inside ofShu De Fang. The inspiration rooted from theartist’s nostalgia of the life in Old Shanghaias well as his respect for “Tree” as a formof life. 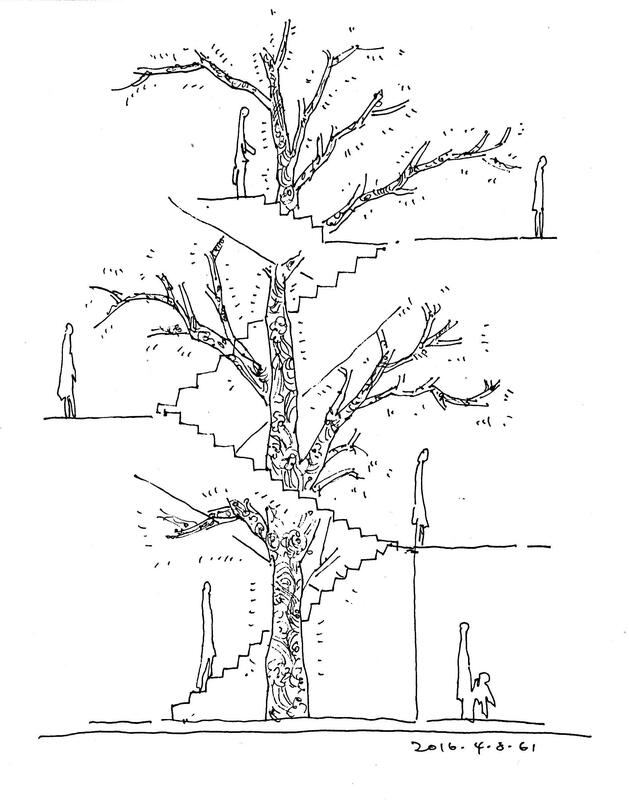 The branches of the “Tree” burgeoninside of its dwelling space. The complexity ofits traditional crochet fabric accentuates thetexture of the tree bark, and through pulsinglight the “Tree” converses softly with thespace it resides in. © 2016 61 Creative. All Rights Reserved.